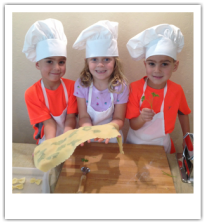 ​The Petite Cupcake offers cooking classes for kids ages 3 and up in Walnut Creek, CA. In our kitchen, we get creative and messy. ​ we're learning important life skills and healthy food choices...all this while making real meals from scratch!